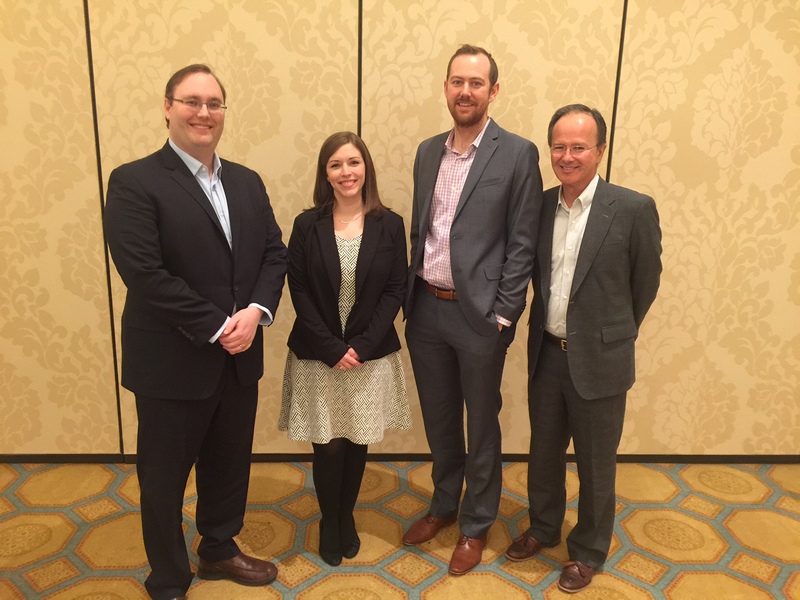 In case you missed it, the Dallas Association of Young Lawyers hosted a CLE called “Boilerplate Provisions, the Good, the Bad, and the Ugly” on March 14th at the Belo Mansion. The panelists were Robert Dockery , a shareholder at Posinelli, Darius Dills, in-house counsel at CHRISTUS Health, and Amanda Thurman, an associate at Carrington Coleman. The panel was moderated by Ben Dalton. During the hour, a great discussion was had on boilerplate provisions. Some of the highlights included the benefits of copying and pasting boilerplate provisions to both the attorney and client. The panel talked about how certain boilerplate provisions, if you do copy and paste them, should get extra scrutiny depending on the deal, such as indemnity and insurance provisions. Another topic of discussion centered around arbitration provisions and if they should be included. Like much of the discussion, it would certainly depend on the client’s wishes and the nature of the deal. That being said, the overall consensus of the panel seemed to be that arbitration clauses aren’t quite as popular as they have been in the past given the increasing cost of arbitration compared to a trial. Another talking point that drove a great discussion amongst the panel was on how technology is changing boilerplate provisions. New boilerplate provisions are being drafted that touch upon electronic signatures, PDFs, and how notice was to be delivered. Most panelists suggested that receiving notice of a contract breach by snail mail is better than email, since there is so much email getting sent out that it is far too easy to miss such a crucial email, not to mention the risk of such an email being blocked by a spam filter. Some deals are getting executed by technology such as DocuSign and boilerplate provisions should be drafted so that electronic signatures are binding. The DAYL CLE Committee wishes to thank the panelists for sharing their wisdom on boilerplate provisions as well donating their time. As a result of their willingness to serve as panelists, those in attendance were able to leave the CLE with new insights on boilerplate provisions.